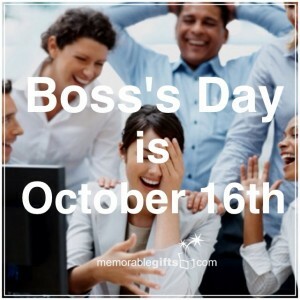 National Boss’s Day is October 16th! If you have a great boss, let him or her know that you appreciate them. What are the attributes of a great boss? Some say it’s a boss who is fair, understanding, honest, a good communicator, and approachable. If these words describe your boss then here are some gifts that can help you say thank you to them! 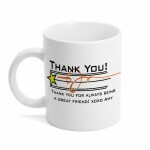 Your boss can start every morning drinking their coffee out of this Personalized Thank You Mug. 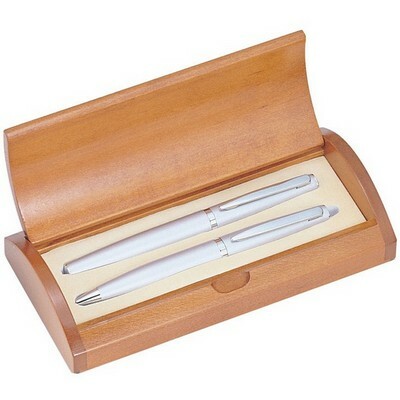 Your boss will appreciate the thoughtfulness of a gift with a personalized note! What is more useful in an office than a pen? This Personalized Satin Pen Set is great for that shining star of a boss you have! Receiving this dazzling gift will truly make any bosses day. 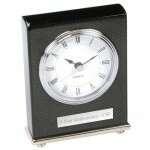 This Personalized Desktop Clock is sure to impress your boss with its elegant design and exquisite quality. With your boss’s name engraved on the base of the clock, this gift is surely one that any boss would love to receive and is a great, personalized touch to any desk. Check out our entire collection of Personalized Business Gifts and don’t forget to wish your boss a Happy Boss’s Day on October 16th!